Zak Bucia will go for gold once again. Nearly three years removed from fighting for the Shamrock FC lightweight championship, Bucia is back, this time up a weight class. 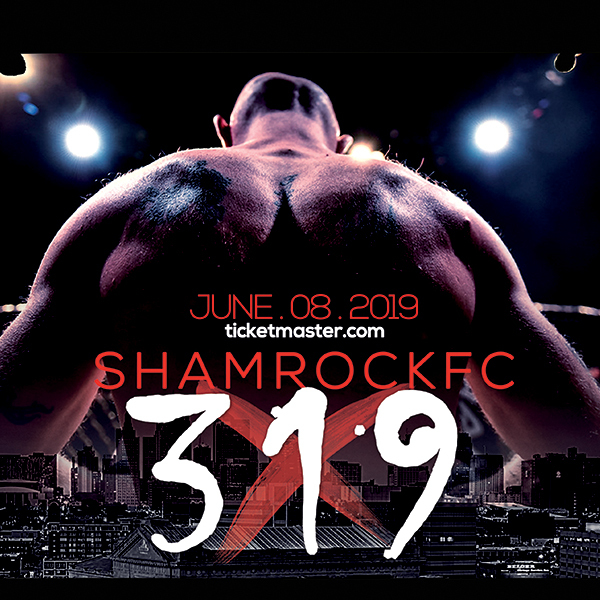 Waiting for the 32-year-old Bucia (15-8) on May 20 in the main event of Shamrock FC: 289 at the Ameristar Casino in Kansas City will be Bobby Voelker (28-12) for the SFC welterweight belt. The winner will be granted a contract with Bellator. Bucia asked for Voelker, a Kansas City fighting legend who has won five straight and has fought professionally since 2006. Bucia did earn a blue belt while in Brazil and when he moved back to Lawrence, was awarded his purple belt at Rivers BJJ and currently has four stripes. A few years ago he returned to Kansas, Lawrence, specifically. “I wouldn't want to live anywhere else in Kansas but Lawrence,” he said. Bucia has been in the gym business for some time and currently operates Lawrence Fight Club. With just enough mat space, bags, and a cage, Bucia is beginning to build a budding amateur fighter base in the college town. Bucia has been in the gym business with an eye looking ahead to his post-fight career. Bellator currently has a lot going, especially in its welterweight division. Bucia's style, both inside and outside the cage, could add a creative piece to that puzzle if he gets through Voelker. Either Bucia or Voelker will be given a three-fight Bellator MMA contract, joining previous Shamrock FC belt holders Rebecca Ruth (flyweight), Jordan Howard (bantamweight), Rudy Bears (lightweight), and Bobby Brents (heavyweight). Ruth won her Bellator debut on a televised main card by decision over Lena Ovchynnikova. She lost in June 2016 to Ilima-Lei Macfarlane. Bears has fought twice, including on a main card, losing to Michael Venom Page and Neiman Gracie. Brents lost a split decision to Chase Gormley in October 2016 and was cut by the promotion afterward. Howard has yet to jump-start his Bellator career. On his way to the top of the Shamrock pecking order, Bucia went through three of the St. Louis region's top fighters in the lightweight and welterweight division. Here is his – and our – take on those three fights. 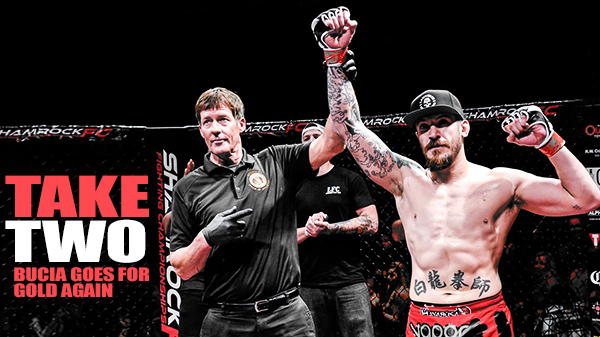 After losing in his first crack at a SFC title - against Rudy Bears and at lightweight - Bucia defeated then-undefeated Hugh Pulley at the November 14, 2014, at Shamrock FC: Destruction by unanimous decision. From the KJ recap: Bucia was relentless with ground control and submission attempts while Pulley held the advantage in the stand-up. Pulley showed grit in fighting off the choke for most the entirety of the 3rd round. Ultimately, it was the positional dominance and submission attempts throughout the 1st and 3rd rounds the earned Bucia the victory. Six months after the Pulley fight, Bucia KO'd Washington in the first round at Shamrock FC: Charged. Following the Washington win, Bucia knocked out Pride Fighting stalwart Jose Landi-Johns on a Titan card. From the KJ Recap: Bucia put the exclamation point on the evening with a head kick KO of Washington at the end of the first. Both were prepared to keep the fight standing and trade punches. It was well fought and very even until late in the first round when Washington circled along the fence into the head kick by Bucia. This is another step forward for Bucia who is primed for a very bright future. In December 2016 at SFC: 280 Bucia took on Meredith, easily considered the top fighter St. Louis had to offer at the time not signed to a long-term contract with a major national promotion. From the KJ recap: The fight was a display of jiu-jitsu prowess and quickly went to the ground with Meredith taking Bucia's back. Bucia showed great patience waiting until a misstep by Meredith allowed him to reverse the position and get the finish on Meredith late in the first round.